How do you find and catch all 26 — make that all 28! — of the Unown Pokémon in Pokémon Go Gen 2? Here are our top tips, from A to Z...?! Unown is one of the rarest and hardest to find Pokémon in Pokémon Go Gen 2 and, now, Pokémon Go Gen 3 . Scratch that. Unown is one of TWENTY ~SIX~ EIGHT of the rarest and hardest to find Pokémon in Pokémon Go — period. That's because it doesn't spawn very often in most areas and, when it does, it can manifest as any one of the 28 forms, stylized after the letters of the alphabet, from A to Z. So, as well as the punctation ? and !. So, how do you catch 'em all? What's 'Unown' and how many forms does it really have? Unown is one of the Pokémon introduced into Pokémom Go as part of the Gen 2 update. Gen 2 had 26 distinct forms, one shaped after each letter of the alphabet, from A to Z. Gen 3 adds ? and ! for a total of 28. Unown is a Psychic-type Pokémon introduced in Generation II. While it is not known to evolve into or from any other Pokémon, as of Generation III, Unown has 28 derivative shapes, chronicled in the Unown Mode in Generation II and the Unown Report in HeartGold and SoulSilver. There are 26 Latin alphabet characters, plus ? (question mark) and ! (exclamation mark) introduced in Generation III. In Generation II, its shape is determined by its individual values; in Generation III, it is determined by its personality value; from Generation IV onward, it is determined by a separate form identifier. Twenty-six forms now, twenty-eight with Gen 3? Correct! Unown ? debuted at Pokémon Go Fest Chicago 2018. No sign of ! yet, though! Is Unown one Pokémon with 28 different shapes or 28 different Pokémon? Unown only has one Pokédex entry in Pokémon Go, so it's best to treat it as one Pokémon that has 26 different shapes. So, less like Vaporeon, Flareon, Jolteon, and the rest of the Eevee-lutions and more like Pikachu, Santa Hat Pikachu, and Party Hat Pikachu — just all available at the same time. Pokémon Go will show you all the versions you've caught in the Pokedex as tabs. But, are there Unown spawns, or separate Unnown A and Unown B spawns? Only Pokémon Go knows for sure. Based on how people are catching them, though, it seems less likely that each specific Unown spawns on its own and more likely Unown spawns in general and then its specific form is determined at random. Because random is how Pokémom Go rolls. Are there nests where you can go to catch Unown? Sadly, no. Unown, like Snorlax and Lapras, doesn't seem to nest. There have been reports of consistent, if infrequent spawn points but they're thus far very few and incredibly far between. In my area, they spawn only a few times a week, and randomly throughout the city and suburbs. Never the same place, never the same time, never at any discernable pattern. Is Unown restricted to events? Not restricted, no, but Pokémon Go does make it spawn in numbers at events, with letters typically tied to the event. So, if you really want Unown, going to an event where Unown is boosted is the only sure way to get one or several. Can you track Unown in Pokémon Go? If you can find a spawn near a PokéStop, you can absolutely track Unown using Nearby. Tap the Nearby Tab at the bottom right of the screen. Tap the holiday Pokémon you want to track. Tap the Footprints button to start tracking. Once you get to the PokéStop, Unown will spawn and you can catch away! Can you get Unown from Incense or Lures? Unknown! (Sorry, had to!). There's been a report of Unown spawning from Incense but there'll need to be many such reports before it's accepted as fact. Same for Lures. There have been reports, but until there's more volume it's impossible to say definitively one way or another. I've seen Snorlax spawn from Incense, though. And while not as rare as Unown, it does show Incense and Lures can pull from a wide range of Pokémon in the system. So, while you shouldn't waste your money on high volume Lures or Incense just to get Unowns, if you're already using a Lure or Incense, keep your eyes open and fingers ready! Can you hatch Unown from a Pokémon Egg? No, at least no so far. But things change. Regionals like Taurus and Mr. Mine, and even some base Pokémon like Magikarp, used to hatch but have since been removed from the egg pool. Conversely, the Gen 2 starters, Chikorita, Cyndaquil, and Totodile initially didn't hatch from eggs but, following the Spring Eggstravagaza event, joined the 5 KM egg pool. How do you increase your odds of catching Unown when you find it? Use a Golden Razz Berry. Unlike other bonuses, it's not dependent on you hitting the target. And there's no point in using a Pinap Berry because Unown doesn't evolve nor does it power up to a significant enough level to be worth hoarding candy. Throw a Curve Ball. A successfully thrown Curve Ball has a higher catch rate than a Great Ball and almost as good as an Ultra Ball. Bonuses stack up, so throw a Curve Ball with an Ultra Ball and a Golden Razz Berry to max out your catch rate. Go for a Nice, Great, or Excellent throw — if you know you can get it reliably — by nailing the center of the target circle. Again, the bonuses stack. With a little luck, you'll get all the Unown you can find. Is there an Unown medal to help make catching them easier? And, yes, fine, to show off with? Bronze: Catch 3 Unowns, get a 1.1x bonus. Silver: Catch 10 Unowns, get a 1.2x bonus. Gold: Catch all 26 Unowns, get a 1.3x bonus. Are there any other ways to make finding Unown easier? 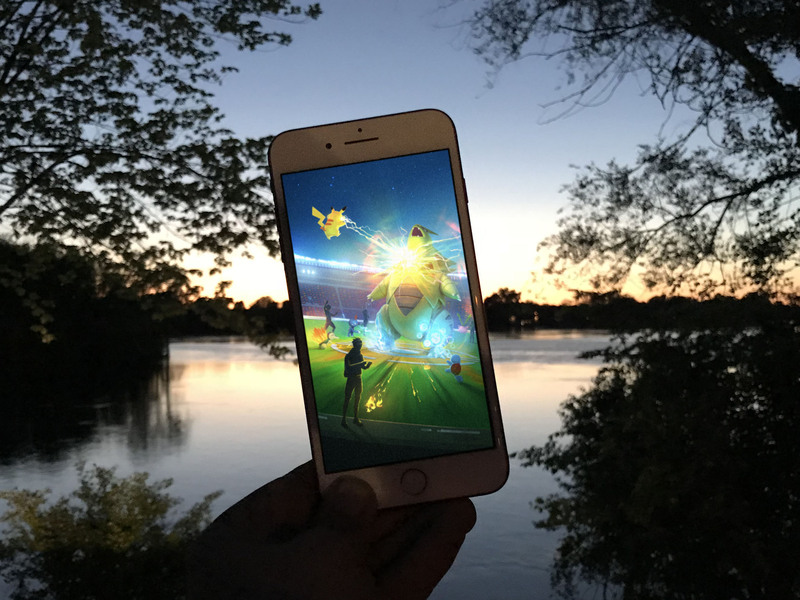 Attend a Pokémon Go or related event, if there's one near you. Pokémon Go has had Unown at all its major events, including C H I C A G O at the first Go Fest, and C E L E B I ? at the second. It's also had Unown at Pokémon events, gaming events, even some sports events. Keep an eye on The Silph Road on Reddit and your local Facebook, Discord, WhatsApp, etc. groups. Where have you found Unown in Pokémon Go? If you have any tips on finding and catching Unown in Pokémon Go, or any questions, drop them in the comments below! Images and compilation via Reddit, Twitter, Reddit. Some images have been modified or composited because catching Unown is kinda hard, folks.